Catherine Ward Keefe, co-founder, is an attorney concentrating in the area of family law. She handles all types of family law matters, including dissolution of marriage, paternity and custody actions, guardianships of minors, adoption cases, including agency/private, agency/assisted, related and interstate adoptions. Catherine is one of only two St. Louis attorneys to be selected by her peers to be a member of the American Academy of Adoption Attorneys. For more than 25 years, she has served as a guardian ad litem representing children in custody matters in the Juvenile Court in St. Louis City, the Juvenile Court in St. Louis County, St. Louis County Family Court, St. Louis City Family Court and the St. Charles Family Court. 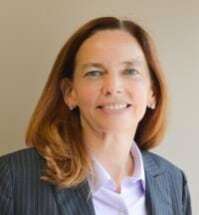 She has lectured on a wide range of family law topics for such sponsors of continuing legal education programs as the Missouri Bar, the Bar Association of Metropolitan St. Louis and the St. Louis County Bar Association. Catherine is a graduate of the St. Louis University School of Law, J.D. 1985, and Mount Holyoke College, B.A. 1982.